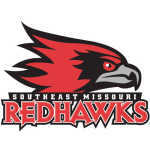 This blog is maintained by Southeast Missouri State sports reporter Phillip Suitts and the semoball.com staff. Phillip has been a reporter for the Southeast Missourian and semoball.com since September 2016. He attended the University of Maryland, where he worked for the independent student newspaper, The Diamondback. During his time in college, he interned at The Montgomery (Ala.) Advertiser and The Atlanta Journal-Constitution. Phillip covers a little bit of everything for the Missourian, including SEMO sports. 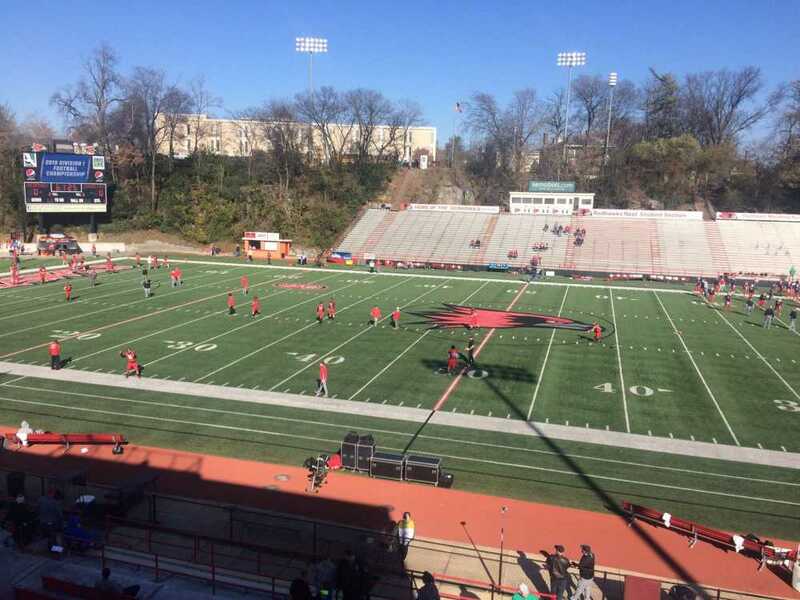 Phillip Suitts ~ psuitts@semissourian.com A picture of Houck Field as both teams warmup Saturday. It was a tale of two halves. Thankfully for the Southeast Missouri State football team, it saved its best performance for the second half. The Redhawks overturned a 14-point deficit thanks to four third-quarter touchdowns and won a Football Championship Subdivision playoff game for the first time in program history, beating Stony Brook 28-14 on Saturday in a first-round game at Houck Field. It was also the first playoff game at Houck. SEMO will now face No. 2 Weber State in a second-round game next Saturday in Ogden, Utah. Trailing 14-0 at halftime, Redhawks got a quick score coming out of the break thanks to a Justin Swift interception that put the offense at the SBU 24. Quarterback Daniel Santacaterina did the rest with a 16-yard touchdown run to cut Stony Brook’s lead to 14-7 less than two minutes into the second half. It was the first of four consecutive touchdown drives. On SBU’s next possession, Taj Jenkins came up with another interception, and Santacaterina found Kristian Wilkerson for a 6-yard touchdown to tie the game at 14-all. In less than five minutes, SEMO had erased a 14-point deficit. A 9-yard TD pass from Santacaterina to Jerrick Orr gave the Redhawks their first lead of the game, and Santacaterina capped the third-quarter scoring with his fourth score of the period, finding Wilkerson for a 38-yard touchdown. By the start of the fourth quarter, a 14-0 deficit had turned into a 28-14 SEMO lead. With Stony Brook quarterback Joe Carbone out injured, the Seawolves struggled to the move the ball. Backup Tyquell Fields had attempted just 18 passes entering Saturday. The Redhawks sealed the win with a Ryan Ochoa sack on fourth-and-goal, taking possession with less than three minutes left. The offense did the rest, running out the clock to clinch the historic win. The Southeast Missouri State football team will have to overturn its largest halftime deficit of the season to keep the season alive. Thanks to two second-quarter touchdowns, No. 15 Stony Brook leads No. 20 SEMO 14-0 at halftime in the Football Championship Subdivision first-round playoff game at Houck Field on Saturday afternoon. SEMO gained just 103 yards in the first half and was 0-of-8 on third and fourth-down attempts. It took both offenses some time to get going with the first four drives resulting in zero first downs. Even when the teams started moving the ball, they struggled to finish drives. Stony Brook started a drive at its own 4-yard line midway through the first quarter and moved the ball to SEMO’s 33 before a fumble by quarterback Joe Carbone ended the drive. The Seawolves eventually found the end zone on a six-play, 37-yard drive aided by a 23-yard pass to Julius Wingate on fourth down and a pass interference penalty on SEMO’s Bydarrius Knighten. The next play, SBU running back Donald Liotine dove into the end zone for a 2-yard touchdown run and a 7-0 lead with 6:37 left in the second quarter. SEMO drove to the SBU 30 on the ensuing drive but couldn’t convert a fourth-and-8. The Seawolves responded with another touchdown drive with Carbone finding Wingate for a 36-yard touchdown pass and a 14-0 lead. The Southeast Missouri State football team is hosting a game in the Football Championship Subdivision playoffs for the first time ever. The No. 20 Redhawks face No. 15 Stony Brook at 1 p.m. Saturday at Houck Field. SEMO is 5-0 at home this season and 8-3 overall. Stony Brook enters at 7-4. Both teams received at-large bids to the postseason. SEMO lost its sole playoff game, falling to eventual national champion Eastern Washington in 2010. Stony Brook is 3-3 all-time in the postseason, including going 1-1 last year. Read more about the matchup in the preview here. Check back for updates throughout the day. You can follow along on Twitter @semoballPhillip and @semoball, and you don't have to have a Twitter account to see the updates. Semo offense been completely shut down... defense holding their own considering being on the field a lot. If Semo can make adjustments at half and find a way to move the ball and score they still have chance to pull out a win. SB will get the ball to start the 2nd half and it is critical not to let them score to extend the lead. If they do Semo has no chance.